This Apollo Phase bike is enhanced with front suspension forks for absolute control even on rough grounds, aluminum frame for a light and comfortable ride, and 21 Shimano gearing and disc brakes for optimum command of the wheels. Other design features include alloy rims, quick release front wheel, quick release rear wheel, and saddle with comfortable foam covered in black vinyl among others. Designed for men who equally values appearance and performance, the Apollo mountain bike is available in a slick design of either red and black. It has 14G x 36H hubs and 21 gears. 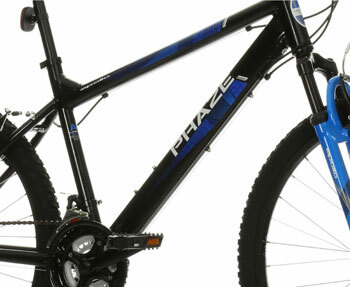 User reviews generally praise the Apollo Phaze Mountain Bike citing good exterior and unrivaled sturdiness as its best qualities. Seldom does a bicycle capture the necessary balance between aesthetics and utilitarianism but Apollo’s Phaze is a welcomed exception. Well since it is both a legitimate looker and an indisputable performer, there is no wonder why owners adore their Apollo mountain bike. One user even recounts that after almost a year of using the bike, and having been able to ride it for more than 800 miles, the bike is still in good working condition. Another major factor that works well for the Apollo Phaze model is its reasonable price. In fact user reviews show that Apollo mountain bike owners have been satisfied with their purchase. Compared to other brands, this model is relatively cheaper despite its equally cutting edge technology. Just like most bikes, regardless of brand or series, the Apollo Phaze has received less agreeable reviews for what users commonly phrased as “uncomfortable seats”. Another concerned user also suggested upgrading the bottom bracket to a sealed cartridge. Aside from these minor concerns the Apollo mountain bike is still highly graded by its owners. The Apollo bike is a special product that caters to the needs of special people. With Apollo’s high regard and expertise for both form and function aptly demonstrated with its Phaze series, the brand is sure to continually command the wheel when it comes to the bicycle trade. 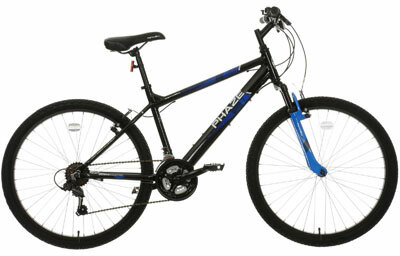 Find more reviews about the Apollo Phaze Mens Mountain Bike on Halfords here.